What is the Safest Way to Pay When Shopping Online? Shopping online has dozens of advantages over traditional shopping: it can be easier to compare deals, to shop at different retailers, you typically have access to more product options, and you can shop from the comfort of your living room. But shopping online also comes with an element of risk, because you're typically providing all the details of your identity, address, and payment information to a website which may or may not have all the proper security in place to protect those details. Whenever you shop online, there's a chance that hackers could steal your information to make purchases using that information. Of course, it's entirely possible that individuals at brick and mortar stores can steal your information, too; it's just much less statistically likely. And in an age where roughly half of the adults in the U.S. are hacked every six months, it's important to find the safest way to pay when shopping around online. A quick way to start protecting yourself is to make certain that the retailer is using the recommended protections before making a purchase. One of the easiest ways which retailers can help protect you is to use HTTPS encryptions to obfuscate the payment data you transmit from potential hackers. If you see an 'https' before the url of the online store you want to shop at, then you can be reasonably certain that it's secure. Another thing to look for is security seals, which mean that the website has been verified to use or is using additional security measures. You can often find these on the payment gateways of online retailers, or posted prominently in the footer of the website. Another great way to pay safely while shopping online is to use third-party payment applications like Google Wallet, Paypal, Paywhere Connect, or Pay Via Amazon. These third-party applications keep and store your payment information behind additional levels of security, and often obfuscate sensitive information even from the retailer you're paying. When deciding on which payment applications you might want to use, it's important to pick one which supports the card types you use and is broadly found enough to apply to most of your preferred retailers. Often, retailers will put the logos of the payment gateways they do business with on the checkout section of their website. Credit cards often offer an additional layer of protection all on their own. 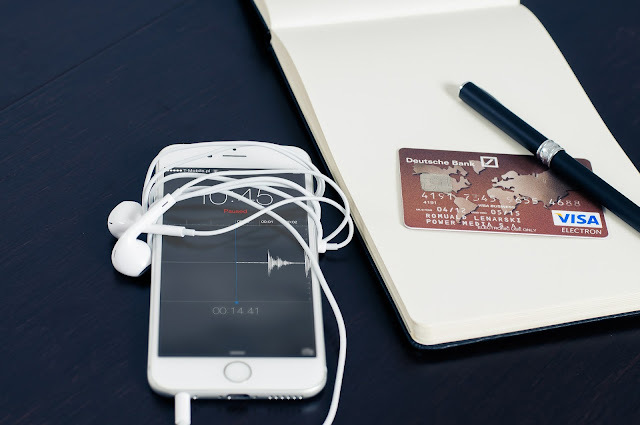 Most credit card companies have very strong fraud protection methods, and unlike many traditional debit cards, it can be much less of a hassle to get unauthorized charges reversed. These are not tied to bank accounts, either, meaning that your non-discretionary funds won't be affected or accessible. Most credit card providers also make it easy to send you alerts about charges, so that you can more easily detect fraudulent expenses. Using gift cards for online purchases is another way to help protect yourself. While they might cost a small amount of money to buy (typically around $3-$5), that fee can be a small price to pay for peace of mind. If your card information is lost, there's no way for thieves to take more than you loaded on the card, and you can often plan the total cost of a transaction to load onto the card. It also means that your banking card information can't possibly be risked, even in the worst case scenario. Shopping online always comes with a risk… but you can absolutely work to minimize that risk. For example, only shopping at websites with appropriate security measures can help protect your payment information online. You can also choose to do business with trusted payment gateways which offer additional layers of security, and shop using only cards which allow you to protect you from potentially fraudulent charges even if your information is skimmed.